The engine compartment and engine parts are degreased so they are free of grease and oil in the engine degreaser treatment. We avoid to clean or to spray water directly on the electronics of the car. It may be sensitive to certain car models to wash the engine of the car because of all the electronics. 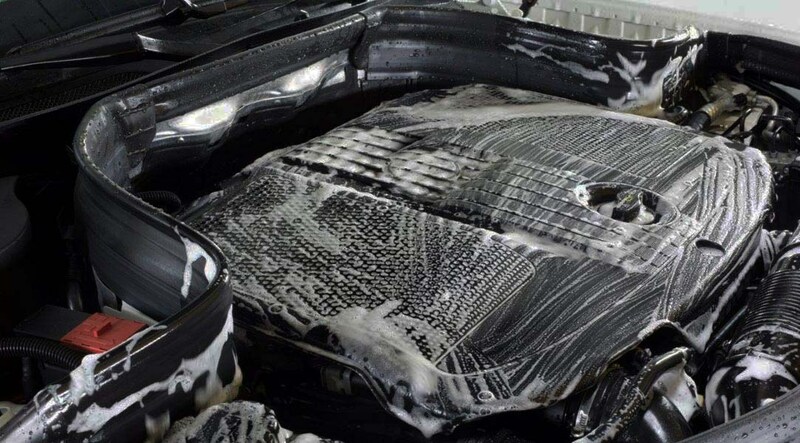 Please check what applies to your car, and if the manufacturer recommends washing the engine.